​​Technology has opened up the field of access. Access to images, videos, articles, objects, clothes and so forth, for either the audience to observe or consumer to make a move. Rasheed Araeen, Opus HB 1,2017, acrylic on canvas, 63 x 55 in. An artist takes inspiration from many fields. More and more disciplines are coming and working together. Fluidity between subjects are becoming a norm. Artist Rasheed Araeen didn't wait for the trend. This fluidity of interdisciplinary work within his art found itself at its core. In 1962, he graduated in civil engineering from the NED University of Engineering and Technology. Upon arriving to London in 1964, Araeen became an artist as art offered him "a freedom of expression" that the profession of engineering did not. His studies tough did form part of his artistic vision and led him to create and develop in his artworks "a lattice structure into the oeuvre of Minimalism". Shapes of triangles and vertical movements emerge through the lattice structure, taking inspiration from nature and the four elements: earth, fire, air and water. 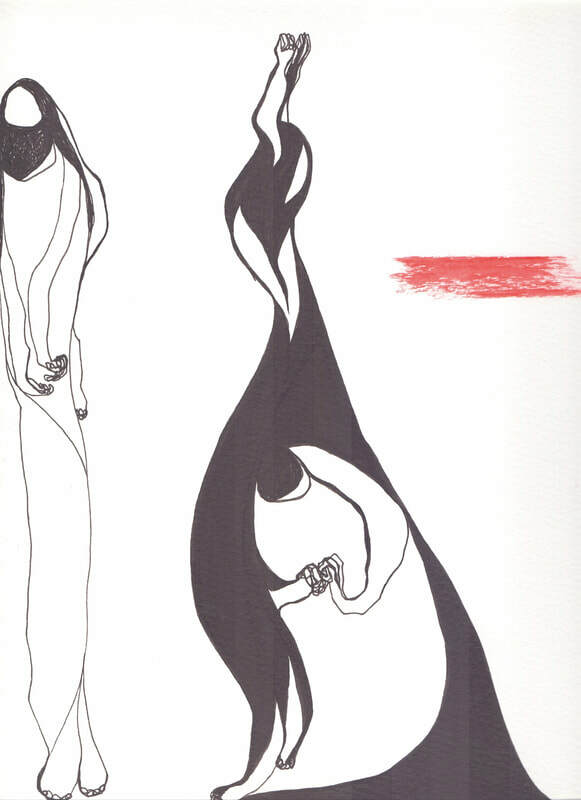 ​Araeen's artist journey is embedded with social and political attributes. In the 1970s he joined the Black Panther Movement and he later founded Third Text, a journal fusing art and politics and looking at Postcolionalism and Developing Countries, showcasing non-Western perspectives and art. Rasheed Araeen known as a voice for alternative and Non-Western interpretations of Minimalist and Conceptual art in the 1960s and 1970's, has highlighted political notions even if some Art Institutions did not at first seem too interested in that fusion. Art and Politics have always been intertwined, it is ever more present and in demand as it has proven its interest with art buyers, art lovers and art viewers. Today the politics sometimes form part of "storytelling" for branding companies, despite that though, a political notion or message has a very relevant place in art. Interest for some Art Institutions came about as artists were pushing to be heard but also because of globalisation, thus the globalisation of the art market. Globalisation has brought to the forefront that a flow of art can occur in both directions, or be multidirectional, East to West, West to East and even East to East or West to West. The cardinal points or even geographical naming, reduces a complex structure. Voices from the West or the East need homes all over the world. Art needs to be shared and be seen, as messages through artworks spread globally, appreciation, affinity and empathy with one another can grow. Aicon Gallery in New York, specialize in modern and contemporary non-Western art. A platform and home for Modern and Contemporary artists from South Asia as well as the Middle East. Tonight Rasheed Araeen's exhibition Recent Works opens at Aicon Gallery New York until May 12th. Expect to see paintings and structures from the series shown at his Retrospective held at the Van Abbe Museum in Eindhoven inaugurated December 2017, works on paper from Rasheed's seminal Hyderabad Windcatcher Series​ and a series of paintings ​created for the exhibition, titled Opus. This relays to 2017 when Araeen contributed to documenta 14 in Athens by presenting Shamiyaana – Food for Thought: Thought for Change. The project, inspired by the shamiyaana, a traditional Pakistani wedding tent, situated itself as a functioning restaurant aimed at fostering equality and fellowship between participants. This influenced his subsequent series of the paintings Opus. In this collection of paintings, Araeen uses symmetry to represent conceptual ideas that are otherwise invisible. Each painting consists of a grid tipped on the diagonal. 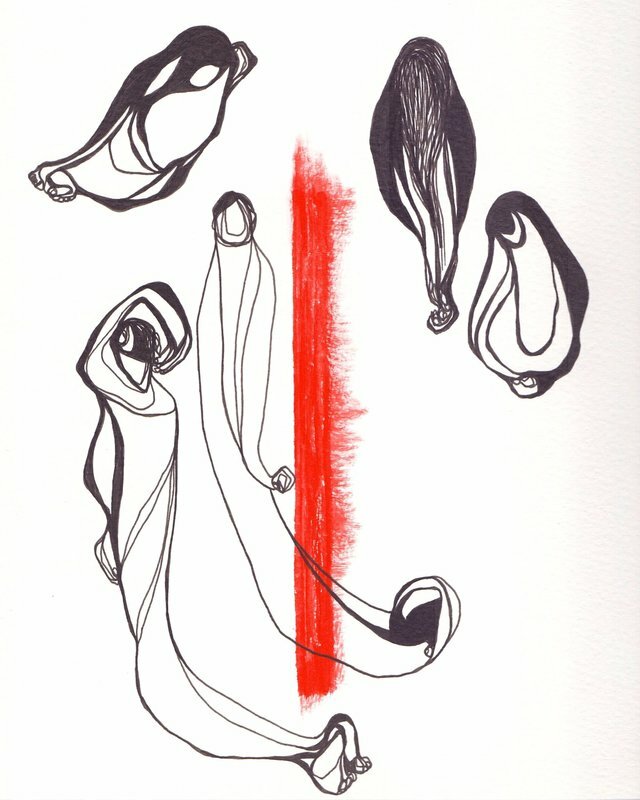 The series of work showcases Araeen's ideas of Islamic art in relation to the notions of twentieth-century abstraction. This is what art does best, showcase different influences, different cultures, different notions and set them together in a painting, in a sculpture, in a project, in any type of artwork. Showing us, what artists have known all along, that art can unite the world. Rasheed Araeen, Bahar Ay Khushiyaan Laye, 2014, acrylic on wood, 64 x 84 x 7 in. Wearable Technology until recently was set aside for the scientists, the sci-fi lovers and seemed to belong to the sci-fi movies. A world unimaginable that it had to be imagined, showcased across the arts and then commercialised. So now we are almost living in the tech future world that once belonged to imaginations and the 2D world. If we look back, historically, the path to wearable technologies was paved a long time ago. Long before the Google Glasses or the Apple watches were born, the simple wristwatch if we think about it was or still is a portable technology item. And long before that in about 1500, Peter Henlein a German inventor, created small clocks that adorned pieces of clothing called Taschenuhr. It's just that the wearable technology or smart clothes, have become much more, well, smart. Fast forward the movie from the past about the future into the present, and wearable technology is on everyone’s lips. But what does this mean for our identity? This is asked on an aesthetic level, although if we want to really think about it, in regards to identity there is probably concern with DNA or cell replica. But the question pondered about here, is more geared towards our visual layers of identity evolving and how that may come about. Globalisation has affected our identity and our fashion, if we apply Zygmunt Bauman's theory of Liquid Modernity, then we are forever becoming modern, thus so will our identity through technology, since technology is linked with modernity. It's not just the technology of social media that is affecting our identity, but our identity is being affected through what we wear, thus wearable fashion. So can we expect these wearable technologies to globalise and affect us? Or will things not change much in regards to products and how they flow around the world, in other words will each mechanic or device become like other products, branded, marketed for a specific country? Perhaps tribes will form across borders depending on the wearable technology we wear, just like fashion tribes can form. When we are wired up and sensors are sending information about us, or detecting information about us or changes in our environment, what does this mean for our liberal choices of how we perceive ourselves and present ourselves? Perhaps the laws coming into play for data in May will affect all this, and perhaps these thoughts belong to some past movie, after all wearable technology can save lives, help health, save time and effort, and maybe even comfort. And these attributes is what we need from the mechanisms. The Fashion Industry has embraced technology and it looks like we are headed for even more partnerships between the two fields. The world of fashion and the world of technology have not always connected aesthetically, but that is now too in the right direction. Since 2014, The Wearable Technology Show has welcomed at the Excel in London, entrepreneurs and businesses to showcase the latest of their work in smart textiles. ​Many are innovators, independents and work hard so that advancements can be made and that we are aided by technology, looking at solutions for better health, better safety or better comfort. Those we met during the show are detailed below, showcasing that the spirit of fashion, engineering and technology is well on its way and providing us too with lots of thoughts to contemplate with. Lys Technologies This small device does big things. The LYS 1.0 is a light measuring wearable that takes care of your circadian rhythm. The navy blue circular device, lets us know how the light composition in our surroundings are affecting our wellbeing. 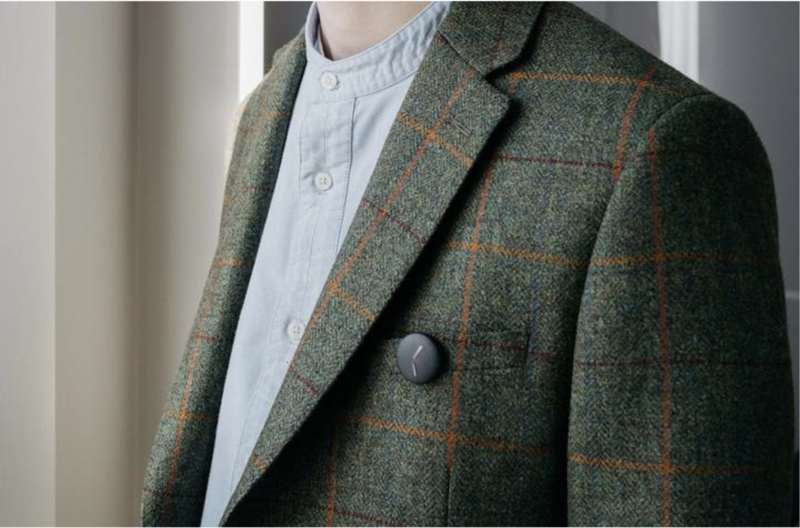 Designed by Christina Peterson from the Royal College of Art, the device clips perfectly onto any garment, a technological ornament for the now and the future. ​DZP Technologies is a developer of specialty materials, formulations, and technologies for emerging industries. They work on consumer electronics and wearables, to 3D-printing and renewable energy. At the Wearable Technology Show, fabrics were being illuminated with sensors. Bloc Digital works include 3D modelling, creating highly accurate, technically correct models, animation and interactive applications with virtual reality and augmented reality with inspiring design techniques. ​BonnieBinary produces interactive textiles. Their work in E-Textiles, the Internet Of Things (IoT) and Assisted Living, is to enhance the user experience, and quality of life, by harnessing the sensory and tactile experience of textiles to control objects around the home. ​Statex the world of silver manufacturers smart textiles, metallising yarns, fabrics, non-wovens and polyamide parts for either high conductive threads for technological industry or anti-microbial yarns and fabric for medical and sport applications. Conductive Transfers developed new technology for printing stretchable electronics for the health industry, construction or fashion. ​Infitex provide sensors for smart textiles, such as for sportswear, jackets with sensors protecting people when they are out in nature. ​FETT Textiles with university of Southampton and Nottingham Trent university have collaborated together and with other partners researching and concerned with the development of new assembly methods that add electronic functionality to textiles. Pireta adds conductivity to fabrics at any stage for many industries. 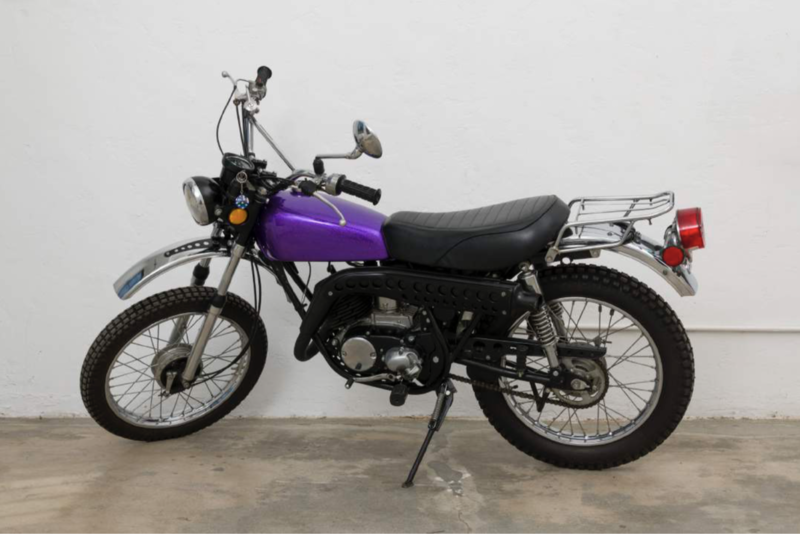 Karma International is a gallery founded in 2008 in Zurich by Karolina Dankow and Marina Olsen. In 2015 they opened a second space in Los Angeles. The gallery spaces place an importance on showcasing art that develops concepts and art ideas. This last October, they had an area at Frieze designated to emphasise Feminist Art. Works by Judith Bernstein, which though for some may be visually provocative, are there to encourage a discussion regarding gender, power and politics. 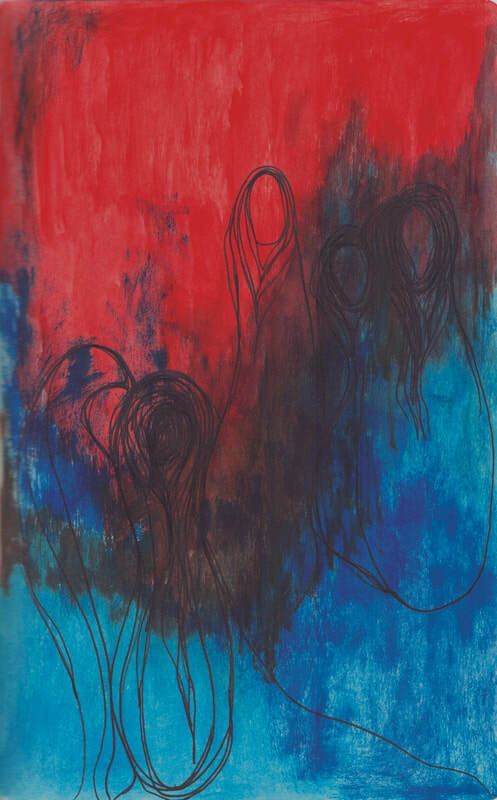 A part of the Feminist Art Movement, Bernstein used art as a tool to help bring forth a discussion on gender and rights, paving the way for other female artists into the discussion. 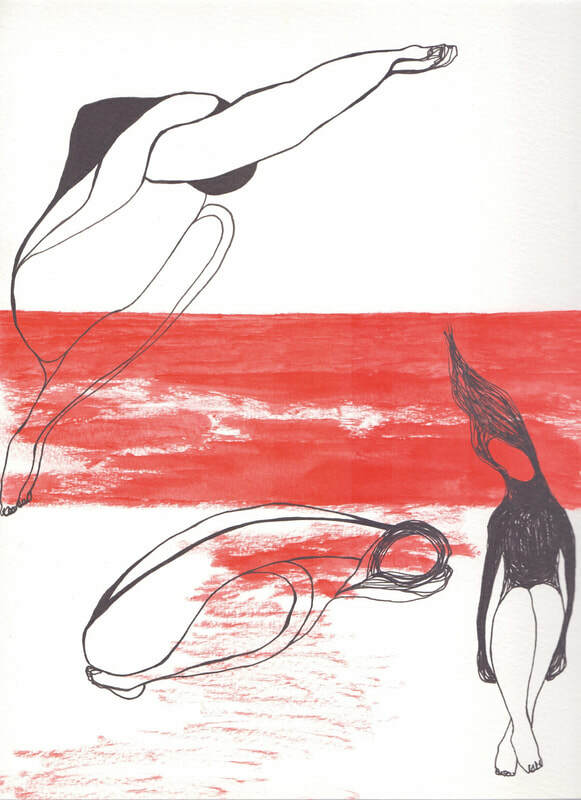 Artists like Sylvie Fleury, who tackles the notion of what art is meant to be or what high art is meant to represent, examining gender issues and the everyday. Her latest exhibition entitled: L.A. Bougainvillea is on at the moment at gallery Karma International LA until the 5th May. ​This show presents works by Fleury that bathe between the boundaries of art, fashion and beauty. 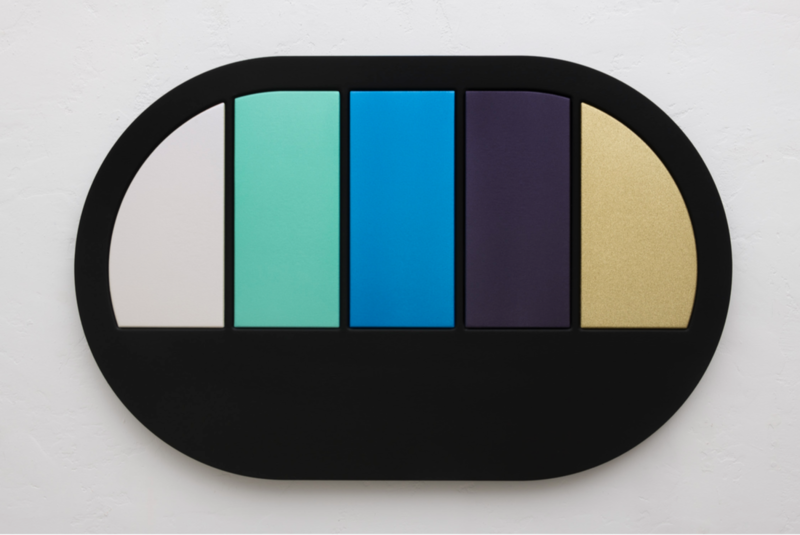 Her paintings of make-up compacts are without any branding or any commercial direction. Although they are depicting actual make-up, they also take on and look like abstract paintings, with rectangular shapes ornamenting the walls. In the body of work on display, the accomplished artist is examining consumer culture and the notion of desire; how we are sold that concept. 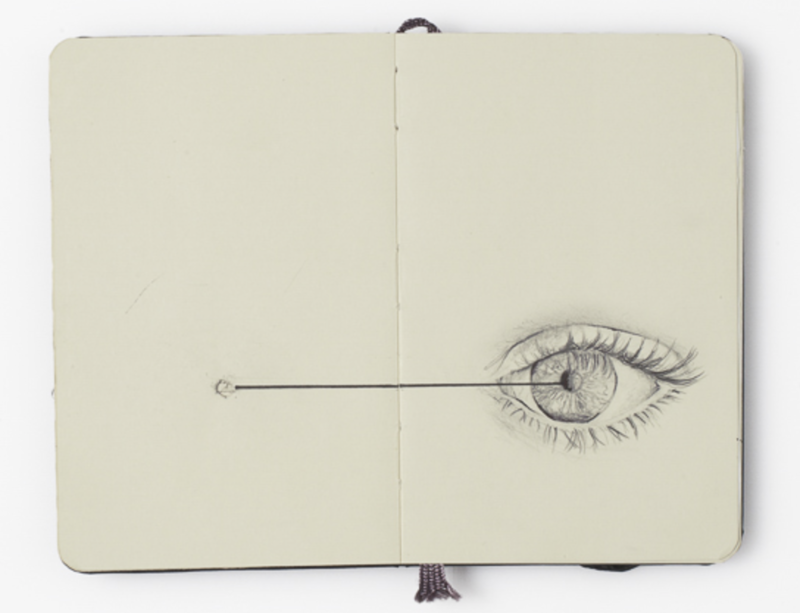 It looks at everyday objects and places them in the mirror of art. Within History of Art we recall Andy Warlhol's depiction of consumerism and Marcel Duchamp highlighting ready made and found objects. Perhaps the abstract paintings asks us to think about when we use make-up, are we sometimes abstracting ourselves? With social media and the many filters we have at the touch of a button, it is easy to forget the layer of so called 'reality'. We develop a sentimental and emotional attachment to everyday objects, that Fleury has chosen to depict and wonder where is our identity in the bag of make up? In other works such as Hollywood Vanity, Fleury is asking us how we see ourselves since we are constantly faced with media and glamour images through electronic wires. 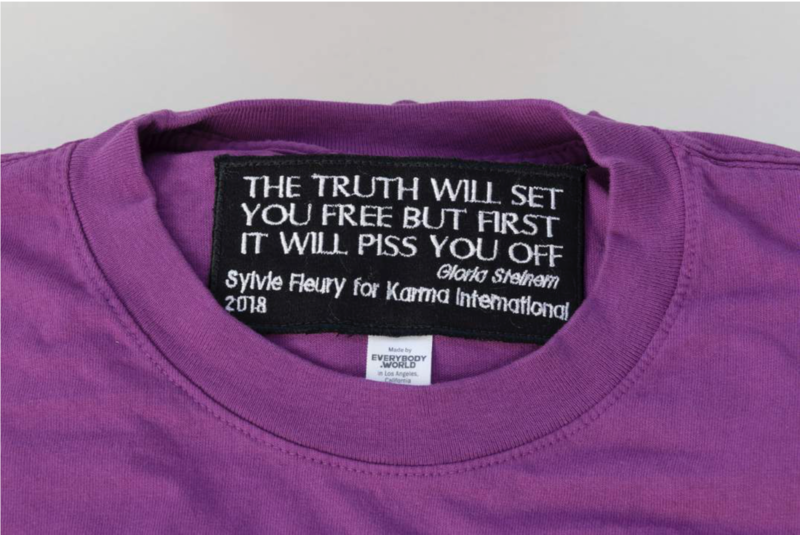 In Cuddly Painting, Fleury explores replacing canvases with faux-fur, and in ode to Gloria Steinem’s biographical collection of essays, My Life on the Road, Fleury created Gloria’s Triumph and some limited edition sweatshirts and t-shirts with embroidered labels written on "The truth will set you free but first it will piss you off". The seductive pop of colours in Sylvie Fleurie's art relays the seduction of marketing and advertising tools that we are faced in society. So though at a glance, Fleury's art displays fun, when we start to think about the layers of paint or make-up, we start to see an art placing a mirror up to society and up to ourselves. 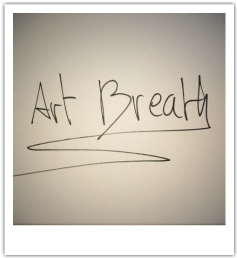 Last December (2017) at the Royal Academy of Arts, on their top floor the exhibition "From Life" showcased and questioned "what it means to make art from life" and how that method may be developing. Historically, life drawing for any art practitioner was often necessary. Especially for a portrait artist. 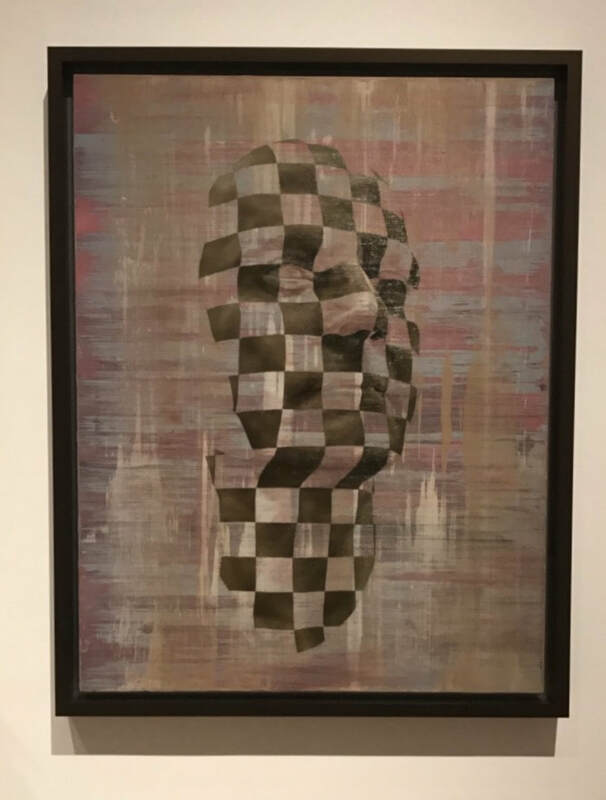 On display at the RA, towards the end of the show, were the artworks "The Simulacra" (Oil on Canvas 2017), "Homage to Paolozzi" (Bronze 2017) and "The Unteleported Man" (Oil on Canvas 2017), all by portrait artist Jonathan Yeo. These artworks were made with the help of technology. "Homage to Paolozzi" is the first sculpture designed with the virtual reality software Google Tilt Brush, and "The Simulacra" and "The Unteleported Man" paintings were aided by advanced 3D scanning. For part of the artworks, Yeo used the LightStage scanner by OTOY technology, where he scanned his face and then transmitted that to the Tilt Brush software. Pangolin Editions then reproduced the 3D brushstrokes, into bronze cast for the sculpture. Partnering with Google Arts and Culture, Jonathan Yeo worked with Google engineers on the Tilt Brush Software. Tilt Brush have also teamed up with various artists, cartoonists and animators, working with them on this new way of creating. Some of which have taken up an art residency with them. Tilt Brush by Google was created to, as they state on their website, make us "Step Into Your Imagination", in other words, for us to step into our imagination and paint it in our 3D space and not just represent or recreate a 3D space on a flat surface. [One day, we may be able to literally step into other people's imagination....] but leaving that thought aside, the technological art tool is meant to facilitate drawing and creating in 3D spaces and for the art experience to be able to take us on a journey. Through viewing some of the artists work online, it does feel like stepping into a world made of art, like an animated painting, or a painting being awoken into life. The concept is pretty impressive and it opens up a whole area and genre of art. Technology and this tool, also continues the fusing of graphics, print, animations with fine art, illustration and sculpture, and little by little there no longer may be a separation between the arts. Or there no longer may be something called "digital art" it will just be art. So should we be worried about technology engulfing the arts, or should we be in awe? And is this just not the evolving nature of things, of life, and now of the art world. After all innovation includes the invention of masking tape used in art, or photoshop, not forgetting the ever so practical, repeat pattern buttons or copy and paste on our computers, to now, this innovation, where it is at with painting in 3D space. Only time will tell if artists will want to experiment with 3D painting or not. Sometimes the materials used in art are about a trend. When photography was invented, or became very popular, many thought that would be the end of painting. And yet, paint lives on. Paint has also had its fair share of innovation, it is of course more synthetic now. So painting despite all the other arts has lived on, because there is something to be said about a practice that is bound by time and observation. The new medium of drawing in virtual reality, where a person as they paint can walk inside their artwork and that the artwork can surround the artist, feels like looking at an innovation taking us into a new world. Albeit, a world made in art. So can this tool create artists of us all? And what would that mean? What will this mean for Street Art? Could you imagine walking around with paintings floating around us? Many thoughts come up while looking at this wondrous new art tool. This technological progression, is that - a progression, and in time, the now of art, will become the norm of art and then, once it is a norm, a new type of tool for art will be invented. It's not just technology that is disruptive, so is art. Art at some level, at some point in time, is meant to disrupt. So either both disciplines of technology and art together will disturb or they will create wonders. The customer or the audience will decide. Through this type of 3D technology, assuming it could be available to many or to many artists, could this new 3D art paint be used in a positive light and build virtual bridges between communities, between different areas of a city to bring us closer? Sustainable and ethical fashion have been making headlines, and rightly so. And yet, after many years of unethical fashion being readily available, how can we expect to make it a norm, if we do not understand it. Furthermore, garments with sustainable labels seem to be at a further cost to the consumer. I use the word ‘seem’ because that is exactly what it is, we assume that it can only be achieved with higher costs subsequently then priced into the garment. But maybe sustainable fashion could eventually with time be achieved without an extra cost, through new technologies and innovations. So if things are going to change for the better, and if a majority of people are to embrace this new wave in fashion and retail, even if there is a further cost, then as a society, as consumers and designers, we first have to understand what is sustainable fashion and how it can be achieved in the Fashion Industry and eventually become the norm. Fashion can release a lot of power, it embraces notions of politics, identity and economy, and with that it can be a tool that does good. There have been brilliant minds endorsing ethical and sustainable fashion, such as Helen Storey, Simone Cipriani of Ethical Fashion Initiative, Katharine Hamnett, Vivienne Westwood, Stella McCartney, The Fashion Revolution and so on. Though there are institution that have embraced this, like the United Nations through the Ethical Fashion Initiative, there still are major institutions who need to address this topic and to address what seems to be a growing demand from consumers. So to whom do we look for to do this? Companies? Institutions? The government? In come Kering and the Centre for Sustainable Fashion at London College of Fashion who have partnered to launch and create the world’s first open-access digital course in sustainable luxury fashion. This is in part a free platform (you can upgrade if you wish) to learn about what sustainable fashion is. By providing this arena of thought and knowledge in education, it gives the next generation of designers as well as consumers the tools to know what to do to ensure that fashion breathes sustainability and ethical attributes. What seemed to start off as a trend amongst some, has become an occasion to instate change and even perhaps be the tipping point of an industry. Echoes of change seem to be ahead, and the six week online course that starts on the 9th April is reflecting that and wanting to provide knowledge and understanding of these core notions throughout education and luxury fashion so that it can eventually become a norm in the industry. Let’s hope that we all embrace good change in the Fashion Industry and that it is for good and becomes a norm. Education is where ideas can be exchanged and implemented. With people working hard to make the Fashion Industry rightly a more transparent one in how our clothes are sourced and made, learning how this is all done is surely more than a step in the right direction, it’s a necessary step so that communities and people not just in the UK but in the World can thrive and work in good and safe conditions. Here’s to education, art schools and institutions joining forces and making changes!